​Fine Shine has been supplying a sincere and professional home, commercial cleaning and valeting service throughout the South Hams since 1992. We offer a variety of cleaning services at highly competitive local rates. The areas we cover include Dartmouth, Kingsbridge, Salcombe, Modbury, Totnes, Ivybridge and Plymouth (East) and surrounding villages. Please scroll down the page to see the services we offer. Fine Shine has 25 years of experience in carpet cleaning in residential properties to commercial play areas. So, whether your reasons are to breathe new life into your tired carpets, remove dust mites and allergens, or get some assistance in removing stubborn spots and stains – Fine Shine cleaning services have the experience and expertise to recommend the most appropriate method of achieving the best possible results, whatever the circumstances. Any furniture will be moved carefully and furniture will be placed back with silver pads under the footings to prevent any markings. Your carpets will be hoovered before we apply a pre-treatment solution for stains and dirt patches, paying particular attention to high traffic areas. We’ll then inject hot steam into your carpet, and use a hot water extraction machine for rinsing, removing approximately 95% of the moisture. Some marks will come out during our normal cleaning process. However, more resistant stains may need some specialist treatment to deal with them effectively. 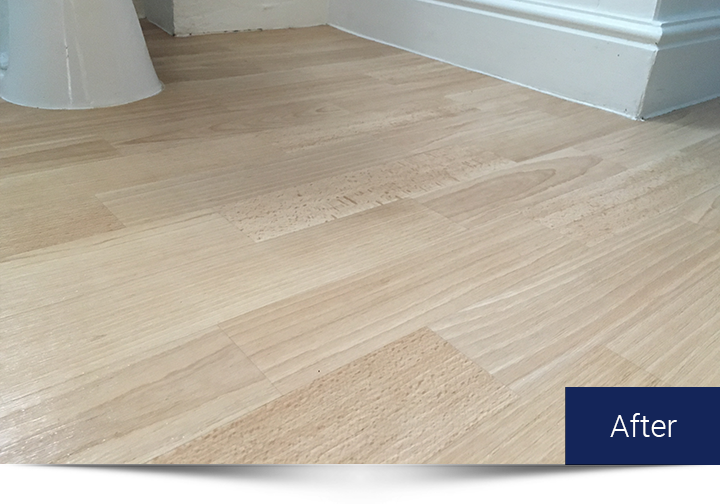 We are fully qualified to assess these stains, and to carry out the best and safest means of getting them out without damaging the carpet fibres. All stains will be fully inspected and identified by our technician with the correct detergent will be applied to assist in their removal. With our 16 years of experience in hard floor cleaning, our expertise can deliver high quality hard floor cleaning. 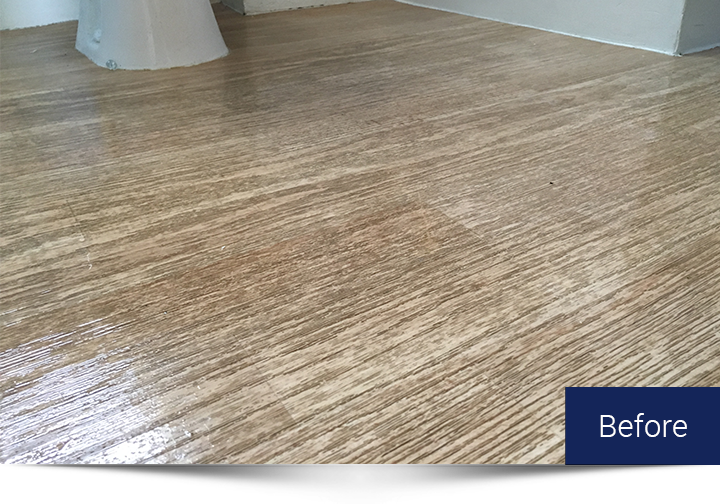 The specialists are highly trained in order to deal with a wide range of hard flooring surfaces, including wood, vinyl, marble, terracotta, ceramic, granite, slate floors, natural stone, and wood floors. If your flooring is not listed here please call the office to discuss if it may be one that we can clean. Please note each floor is very different and will be assessed individually. Cars, vans, boats and caravans need regular washing and waxing to protect the paintwork and ensure a long-lasting sparkling finish. Living in a coastal area means we are even more susceptible to corrosion of the bodywork as a result of the salty sea air. It’s also important to keep the interiors free of dirt, dust and greasy build up preserving the value of the vehicle giving you a much better return when it comes to re-selling. Fine Shine provide a reliable and friendly vehicle cleaning service at our facility in Kingsbridge. 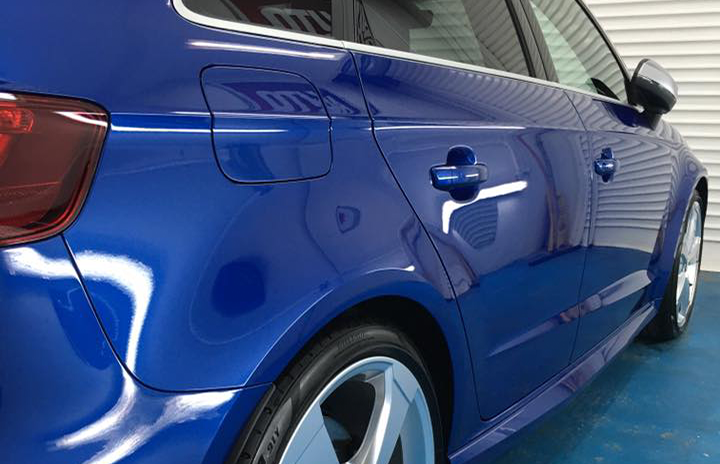 We can carry out a quick while-you-wait hand wash or mini valet, or you can leave it in our capable hands for a full valet. ​We’re equally happy to come to your home, caravan park or boat yard to carry out the cleaning work on site. People have many different requirements when it comes to window cleaning. Here at Fine Shine we pride ourselves on providing a flexible and reliable service. We are happy to come to you anywhere from 4 weekly to annually to keep your windows looking at their very best. With our state of the art reach and wash Varitech window cleaning system, we are able to get your windows sparkling clean without the disturbance and inconvenience of ladders, maintaining your privacy. It also reaches even the most inaccessible areas with ease from balconies to conservatories. We are happy to undertake both external and internal regular window cleaning to removing the hassle from you. If required we can provide our own water supply from the van taking away the requirement for access to outside taps. A vital but often overlooked part of home maintenance, making sure your guttering is clean and working properly is the best way of avoiding bigger costs in the long run to vacuum the insides of the gutters removing leaves and any other debris that may cause a blockage. You’ll benefit from our innovative specialist Gutter Vac Clearance System – it’s fitted with a camera to survey and locate blockages and problems. Our Gutter Vac Clearance System has an extendable carbon fibre telescopic pole that reaches up to 12m in height, we can clean all of your property’s guttering without needing to use any ladders. The Clearance System will remove all dirt and debris from your gutters, leaving your rain gutters and down pipes smoothly free-flowing again. This prevents water damage to your property, which is usually caused by blocked and full of debris guttering systems. Our high pressure cleaning service can bring your driveway, patio, decking, roofs and brickwork back to life. We’ve recently upgraded all of our exterior cleaning equipment to enable us to offer more advanced cleaning solutions. ​And we can now pressure wash at high level, up to a height of 40ft from the ground. The results are astounding, removing green algae, moss and other residues from walls, fascias, gutters, chimney stacks and roof tiles. To benefit from energy harnessed from the sun during the day it is important to make sure the panels are cleaned on a regular basis. Whether you have a solar panel set up on your home or commercial premises we have the right equipment and correct working practices to maintain your panels.